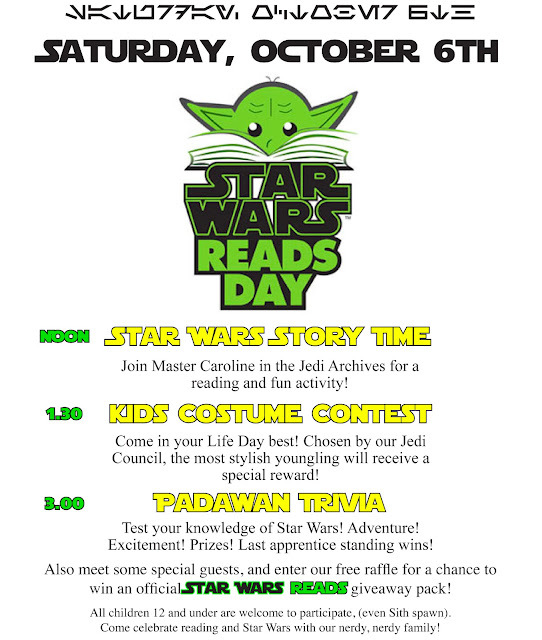 The following flyers were designed for internal store use to advertise Star Wars Reads Day 2012 (October 6th) and the launch of the Nook HD and Nook HD+ color tablets in December/January of 2012. 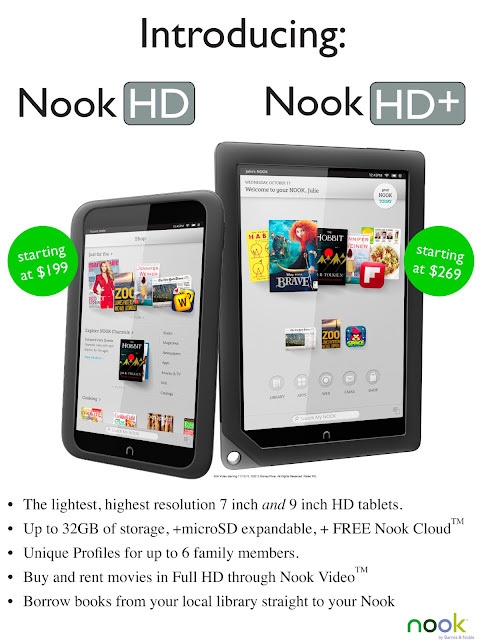 Official advertising was extremely limited, and in the case of the Nook launch, non-existent until well after the holiday buying season. These materials allowed our store to inform customers of the newest events and reading devices available while maintaining in-house style (fonts and layouts were designed to match official copy as much as possible, and stock photography were utilized from press kits) and being in-line with the company message. In both cases, final promotional copies bore a striking resemblance to my designs below, actually omitting some relevant information. I also got to organize and lead activities and build Star Wars-themed games for the kids, including "Pin the Tail on the Jabba" and a Jawa-shaped raffle box, but that was just fun!